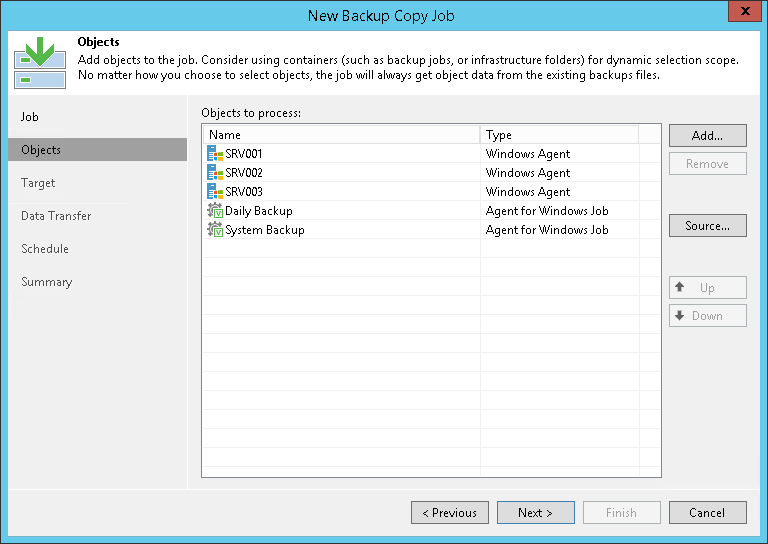 You can configure backup copy jobs that will copy backups created with Veeam Agent for Microsoft Windows to a secondary backup repository. 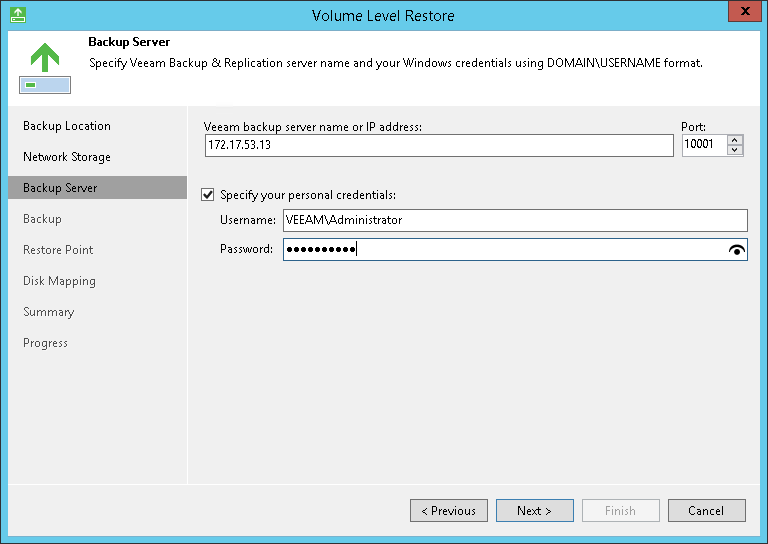 Backup copy jobs treat Veeam Agent backups as usual backup files. The backup copy job setup and processing procedures practically do not differ from the same procedures for a backup copy job that processes VM backups. To learn more about backup copy jobs, see the Backup Copy section in the Veeam Backup & Replication User Guide. You can process backups created by Veeam Agent for Microsoft Windows only with backup copy jobs for Microsoft Windows computer backups. You cannot add a Veeam Agent backup as an additional source of a backup copy job that processes VM backups. You cannot map a backup copy job to a backup created by a Veeam Agent backup job configured in Veeam Backup & Replication. Backups copied to the secondary backup repository do not preserve user access permissions. At the same time, users who created backups do not have access permissions on these secondary repositories. For this reason, users cannot restore data from their backups residing in the secondary site. To overcome this limitation, you can delegate the restore task to backup administrators who work with Veeam Backup & Replication. Backup administrators can use Veeam Backup & Replication options to recover data from such backups: for example, perform file-level restore or retrieve necessary application items with Veeam Explorers. You can also restore data from the copied backup stored on the target repository using Veeam Agent for Microsoft Windows. In Veeam Agent for Microsoft Windows, launch the Volume Level Restore wizard to restore volumes or File Level Restore wizard to restore files and folders. You can also boot from the Veeam Recovery Media and launch the Veeam Recovery Media wizard for data restore. At the Backup Location step of the wizard, select Network storage. At the Network Storage step of the wizard, select to restore data from the backup repository. At the Backup Server wizard, specify settings for the Veeam backup server that manages the target backup repository where the copied backup is located. Select the Specify your personal credentials check box and provide credentials for the user who has the Veeam Backup Administrator or Veeam Restore Operator role on the Veeam backup server. Pass through the next steps of the wizard and select a backup and restore point from which you want to restore data.